Licorice Bridge Mix. Chocolate Store, the online candy store with chocolate and candy. Licorice Bridge Mix – This mix appeals to a broader base of licorice lovers. It has something for everyone. 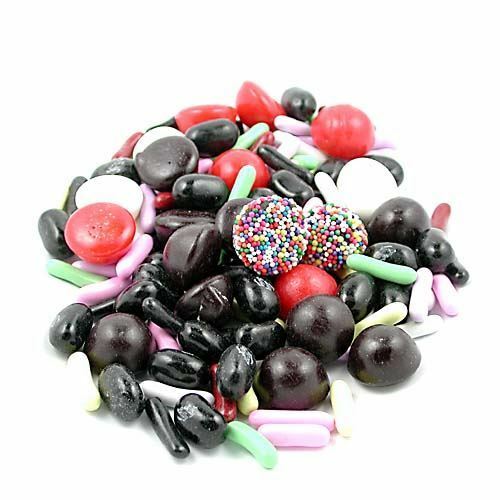 Chewy licorice gumdrops covered in nonpareil seeds, black licorice jelly belly jelly beans, red, black, & white licorice flavored chews, and licorice pastels.